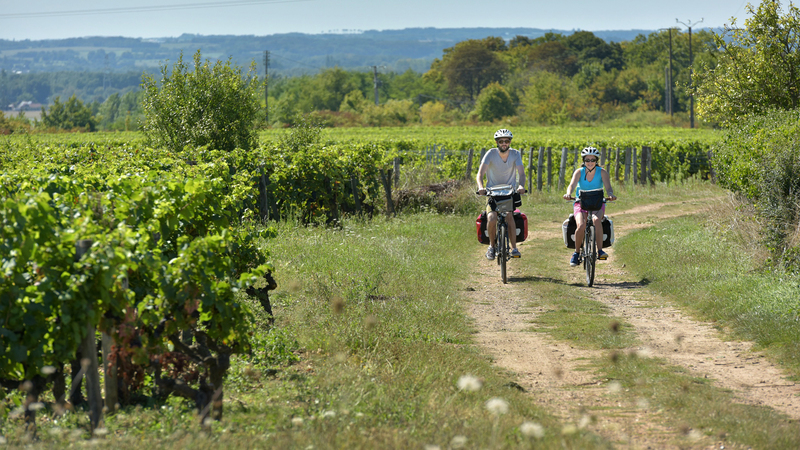 To guarantee a successful holiday surrounded by vineyards, refer to the Vignobles & Découvertes ("Vineyards & Discoveries") list of estates and properties, which provides a selection of cellars open to visitors offering tastings, discovery activities, accommodation, fine food and wine restaurants, visits to cultural sites and events connected with the local wine and heritage. The Loir Valley, which is neither wholly Touraine, nor wholly Vendôme, is a separate entity in its own right, situated at the borders of three French "Départements". 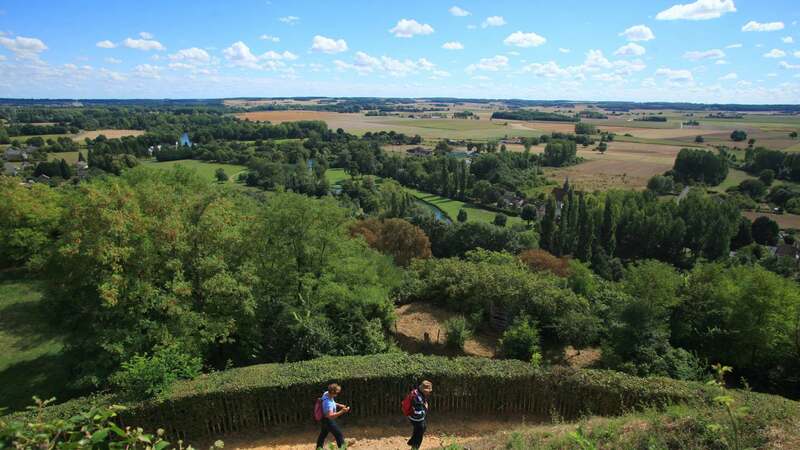 Listed as a 'Pays d’Art et d’Histoire' ('Land of Art and History') and by Vignobles & Découvertes, this hilly countryside between Tours, Le Mans and Angers contains a large number of troglodyte quarries, a magnificent forest and substantial heritage. 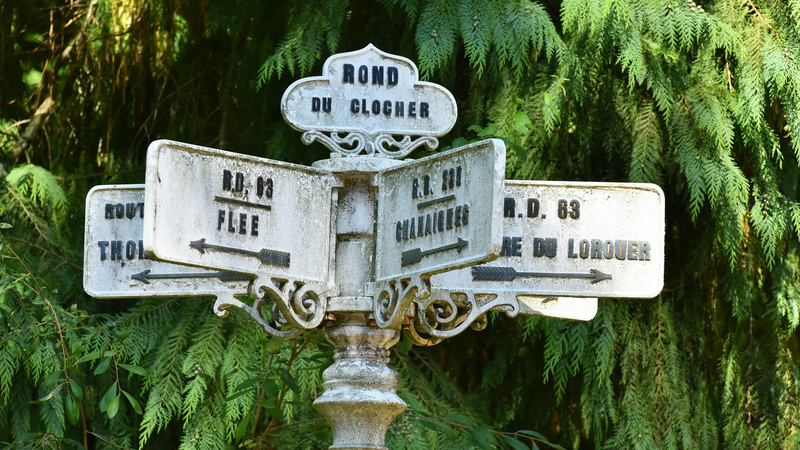 At Manoir de La Possonnière, the birthplace of the poet Pierre de Ronsard, you are still in the Département of Loir-et-Cher. 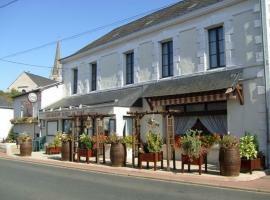 But Poncé-sur-le-Loir, just next door, is in Sarthe. In this Petite Cité de Caractère ('Small city of character'), there are numerous cave dwellings. Its Renaissance château is set like a jewel in a French garden and boasts a remarkable staircase with finely carved coffered vaults. Following the Loir towards the west, you come to Ruillé, which shares the Jasnières appellation with Lhomme, made exclusively with the Chenin grape variety. Very well known in the early 20th century, this mineral and fruity white wine was one of the first to win an Appellation d’Origine Contrôlée listing in 1937. Some consider that this white wine with great aging potential is among the greatest France has to offer. 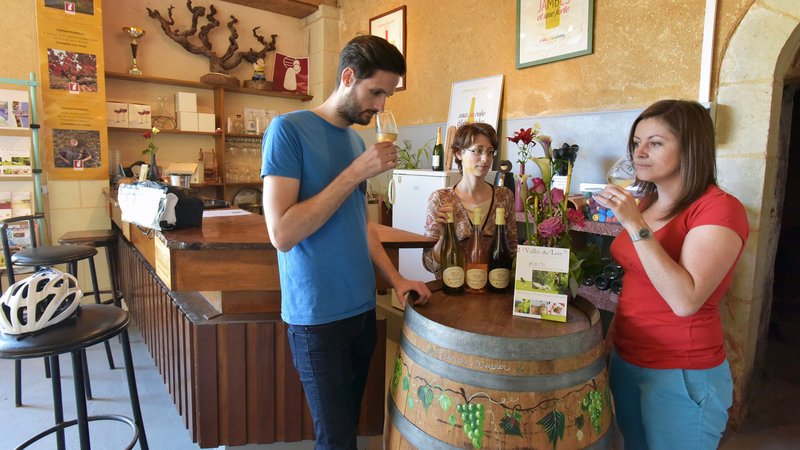 Just a few steps from the Bercé forest, the village of Chahaignes has a rich rural heritage; don't miss a visit to the small vine museum in Lhomme. Perfect for hiking and family walks, the Bercé forest is renowned for the beauty of its 300-year-old oak trees! 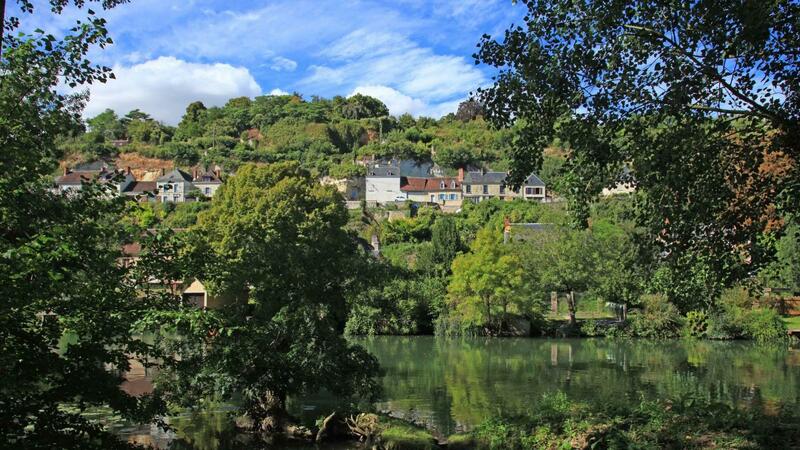 Don't miss the village of Lavardin, ranked among "les plus beaux villages de France" ('most beautiful villages in France') as well as Trôo, which offers a true 'troglodyte experience' in its maze of tuffeau stone quarries now containing a house, museum, literary café, wine cellar etc. Last but not least, in August, Montoire-sur-le-Loir holds its unmissable "les Folklores du Monde" (Folklores of the World) Festival with performances from groups from around the world. 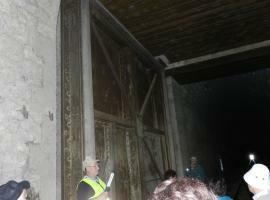 Every year, the programme includes performances, concerts, exhibitions and traditional dinners. Just 150 hectares in all and with around 20 wine producers, as well as a dozen locations offering "Vignobles & Découvertes" accommodation and 13 restaurants, the Loir Valley vineyards are located at the northern edge of the wine-producing Loire region and constitute a tiny area in comparison with the wine-producing region of France as a whole. It is a secretive territory, but with unique and gratifying wines. The Jasnières AOC covers white wines from plots of Chenin grapes on a single south-facing hillside. Dry, semi-dry, sweet or syrupy, they are among the greatest wines of the Loir Valley: a clear yellow gold colour, with floral and fruity aromas with notes of flint, dried fruit and honey after ageing, a strong minerality and an aging potential of at least 15 years. 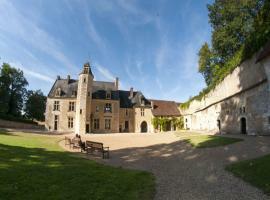 The AOC Coteaux-du-Loir gives its name to white, rosé and especially red wines. They owe their originality to the predominance of the Pineau d'Aunis grape variety which adds subtlety, and to the aromas of red fruits, pepper and spices. The AOC Coteaux du Vendôme produces red, rosé and white wines. 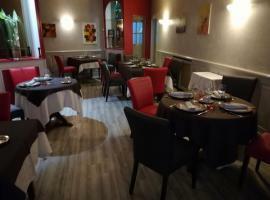 Its speciality is a Vin Gris made from Pineau d'Aunis, a peppery and mineral wine which is a pink pale colour and typical of the Vendôme area.